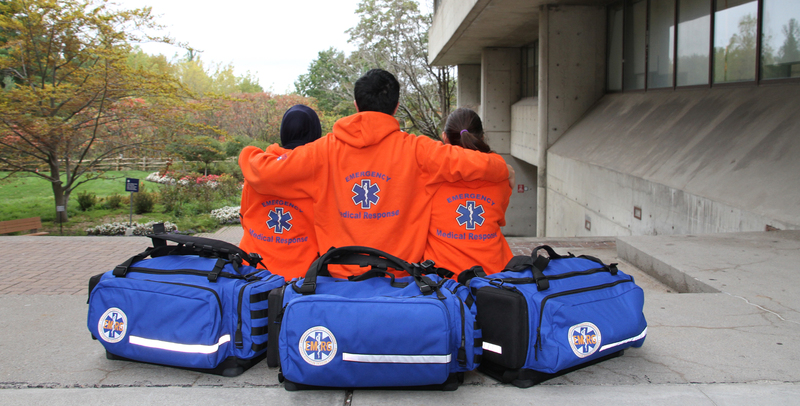 The Emergency Medical Response Group (EMRG) at UTSC is a non-profit volunteer organization involving a collaborative team of UTSC students. 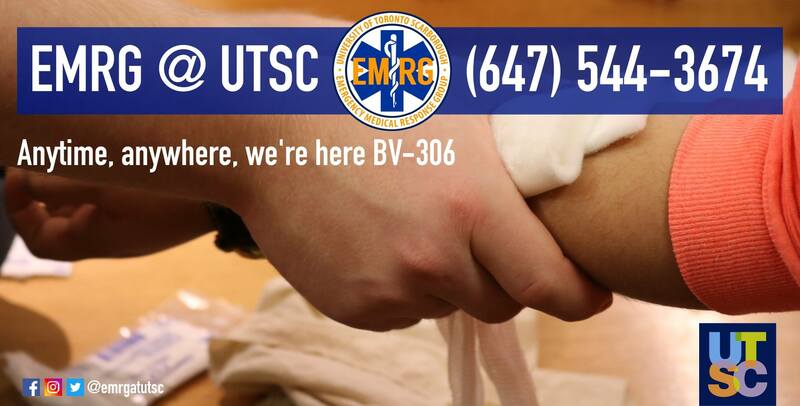 We operate 24/7 providing first aid and emergency assistance to the students faculty and visitors on the UTSC campus. 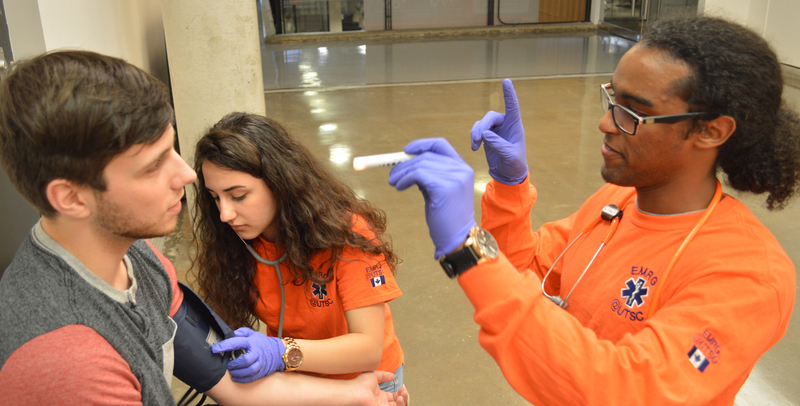 Whether you drop by our office, call us by phone, or request campus police, we are dedicated to providing you with professionally trained emergency response, friendly service, and a welcoming atmosphere. We operate, train, and respond - day and night - for you!